Androidapplications are written in the Java programming language. 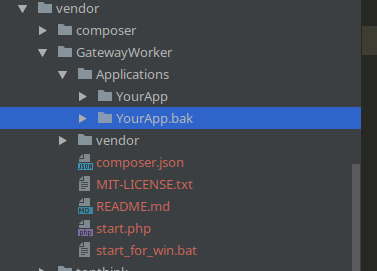 The Android SDKtools compile the code—along with any data and resource files—into an Android package, an archive file with an .apk suffix. Allthe code in a single .apk file is considered to be one application and is thefile that Android-powered devices use to install the application. By default, every application runs in its own Linux process. Android starts the process when any of the application's components need to be executed, then shuts down the process when it's no longer needed or when the system must recover memory for other applications. Inthis way, the Android system implements the principle of least privilege. Thatis, each application, by default, has access onlyto the components that it requires to do its work and no more.This creates a very secure environment in which an application cannot accessparts of the system for which it is not given permission. It's possible to arrange for two applications to share the same Linux user ID, in which case they are able to access each other's files. To conserve system resources, applications with the same user ID can also arrange to run in the same Linux process and share the same VM (the applications must also be signed with the same certificate). An application can request permission to access device data such as the user's contacts, SMS messages, the mountable storage (SD card), camera, Bluetooth, and more. All application permissions must be granted by the user at install time. Applicationcomponents are the essential building blocks ofan Android application. Each component is a different pointthrough which the system can enter yourapplication. Not all components are actual entrypoints for the user and some depend on each other, but each oneexists as its own entity and plays a specific role—each one is a unique building block that helps define yourapplication's overall behavior. Thereare four different types of application components. Each type serves a distinctpurpose and has a distinct lifecycle that defines how the component is createdand destroyed. An activity represents a single screen with auser interface. For example, an email application might have one activity thatshows a list of new emails, another activity to compose an email, and anotheractivity for reading emails. Although the activities work together to forma cohesive(紧密结合的) userexperience in the email application, each one is independent of the others. Assuch, a different application can start any one of these activities (ifthe email application allows it). For example, a camera application can startthe activity in the email application that composes new mail, in order for theuser to share a picture. Anactivity is implemented as a subclass of Activity andyou can learn more about it in the Activities developerguide. A service is a component that runs in thebackground to perform long-running operations or to perform work for remote processes. A service does not provide a user interface. For example, aservice might play music in the background while the user is in a differentapplication, or it might fetch data over the network without blocking userinteraction with an activity. Another component, such as an activity, can start the service and let it run or bind to it in order to interact with it. Aservice is implemented as a subclass of Service andyou can learn more about it in the Services developerguide. A content provider manages a shared set ofapplication data. You can store the data in the filesystem, an SQLite database, on the web, or anyother persistent storage location your application canaccess. Through the content provider, other applications can query or evenmodify the data (if the content provider allows it). For example, the Androidsystem provides a content provider that manages the user's contact information.As such, any application with the proper permissions can query part of thecontent provider (such as ContactsContract.Data) to readand write information about a particular person. Contentproviders are also useful for reading and writing data that is private to yourapplication and not shared. For example, the Note Pad sampleapplication uses a content provider to save notes. Acontent provider is implemented as a subclass of ContentProvider andmust implement a standard set of APIs that enable other applications to performtransactions. For more information, see the Content Providers developerguide. A broadcast receiver is a component that responds to system-wide broadcast announcements. Many broadcasts originate（发起） fromthe system—for example, a broadcast announcing(宣告)thatthe screen has turned off, the battery is low, or a picture was captured.Applications can also initiate(发起) broadcasts—forexample, to let other applications know that some data has been downloaded tothe device and is available for them to use. Althoughbroadcast receivers don't display a user interface,they may create a status bar notification toalert the user when a broadcast event occurs. Morecommonly, though, a broadcast receiver is just a"gateway" to other components and is intended to do a very minimalamount of work. For instance, it might initiate a service to perform some workbased on the event. Abroadcast receiver is implemented as a subclass of BroadcastReceiver andeach broadcast is delivered as an Intent object.For more information, see the BroadcastReceiver class. Aunique aspect of the Android system design is that anyapplication can start another application’s component. Forexample, if you want the user to capture a photo with the device camera, there'sprobably another application that does that and your application can use it,instead of developing an activity to capture a photo yourself.You don't need to incorporate or even link to the code from the cameraapplication. Instead, you can simply start the activity in the cameraapplication that captures a photo. When complete, the photo is even returned toyour application so you can use it. To the user, it seems as if the camera isactually a part of your application. Android系统被设计的一个比较独特的方面就是：任何APP都可以启动其他APP的组件. 例如，如果你想让用户使用照相机设备去捕捉一个照片时，可能已经有其他的APP已经可以做到了，而你的APP就可以直接使用它， 而不用自己去开发一个Activity来实现照片的捕捉了. 你并不需要和照相机APP进行合并或者接入到对方的代码里. 取而代之的是，你可以很简单的去启动一个照相机APP的Activity来捕捉照片. 当完成了这个过程，这张照片就会被返回到你的APP里并且可以使用了. 对于用户来说，照相机就好像是你APP里的一部分一样. Whenthe system starts a component, it starts the process for that application (ifit's not already running) and instantiates the classes needed for thecomponent. For example, if your application starts the activity in the cameraapplication that captures a photo, that activity runs in the process thatbelongs to the camera application, not in your application's process.Therefore, unlike applications on most other systems, Androidapplications don't have a single entry point (there'sno main() function,for example). Becausethe system runs each application in a separate process with file permissionsthat restrict access to other applications, yourapplication cannot directly activate a component from another application. TheAndroid system, however, can. So, to activate acomponent in another application, you must delivera message to the system that specifies your intent to start a particularcomponent. The system then activates the componentfor you. Threeof the four component types—activities, services, and broadcastreceivers—are activated by an asynchronousmessage called an intent. Intents bind individualcomponents to each other at runtime (you can think of them as the messengersthat request an action from other components), whether the component belongs toyour application or another. Anintent is created with an Intent object,which defines a message to activate either a specific component or aspecific type ofcomponent—an intent can be either explicitor implicit(显式或隐式的), respectively. Foractivities and services, an intent defines the action to perform (for example,to "view" or "send" something) and mayspecify the URI of the data to act on (among other thingsthat the component being started might need to know). For example, an intentmight convey(传达) a requestfor an activity to show an image or to open a web page. In some cases, youcan start an activity to receive a result, in whichcase, the activity also returns the result in an Intent (forexample, you can issue an intent to let the user pick a personal contact andhave it returned to you—the return intent includes a URI pointingto the chosen contact). Forbroadcast receivers, the intent simply defines the announcement being broadcast (forexample, a broadcast to indicate thedevice battery is low includes only a known action string that indicates"battery is low"). Theother component type, content provider, is not activated byintents. Rather, it is activated when targeted by arequest from aContentResolver.The content resolver handles all direct transactions with the content providerso that the component that's performing transactions with the provider doesn'tneed to and instead calls methods on the ContentResolver object.This leaves a layer of abstraction between the content provider and thecomponent requesting information (for security). You can start an activity (or give it something new to do) by passing an Intent to startActivity() or startActivityForResult() (when you want the activity to return a result). You can start a service (or give new instructions to an ongoing service) by passing an Intent to startService(). Or you can bind to the service by passing an Intent to bindService(). You can initiate a broadcast by passing an Intent to methods like sendBroadcast(), sendOrderedBroadcast(), or sendStickyBroadcast(). You can perform a query to a content provider by calling query() on a ContentResolver. Beforethe Android system can start an application component, the system must knowthat the component exists by reading the application'sAndroidManifest.xml file(the "manifest" file). Your application must declare all itscomponents in this file, which must be at the root of the application projectdirectory. Identify any user permissions the application requires, such as Internet access or read-access to the user's contacts. Declare the minimum API Level required by the application, based on which APIs the application uses. Declare hardware and software features used or required by the application, such as a camera, bluetooth services, or a multitouch screen. API libraries the application needs to be linked against (other than the Android framework APIs), such as the Google Maps library. Inthe <application> element,the android:icon attributepoints to resources for an icon that identifies the application. Inthe <activity> element,the android:name attributespecifies the fully qualified class name ofthe Activity subclass andthe android:labelattributesspecifies a string to use as the user-visible label for the activity. Activities,services, and content providers that you include in your source but do notdeclare in the manifest are not visible to the system and,consequently, can never run. However, broadcast receivers can be eitherdeclared in the manifest or created dynamically in code (asBroadcastReceiver objects)and registered with the system by calling registerReceiver(). Formore about how to structure the manifest file for your application, seethe The AndroidManifest.xml File documentation. Asdiscussed above, in Activating Components,you can use an Intent tostart activities, services, and broadcast receivers. You can do so byexplicitly naming the target component (using the component class name) in theintent. However, the real power ofintents lies in the concept of intent actions. With intentactions, you simply describe the type of action youwant to perform (and optionally, the data upon which you’d like to perform the action) and allow the system to find acomponent on the device that can perform the action and start it. If there aremultiple components that can perform the action described by the intent, thenthe user selects which one to use. Theway the system identifies the components that can respond to an intent is bycomparing the intent received to the intent filters provided in themanifest file of other applications on the device. Whenyou declare anactivity in your app's manifest, you can optionally includeintent filters thatdeclare the capabilities of the activity so it can respondto intents fromother apps. You can declare an intentfilter for your component byadding an <intent-filter> elementasa child of the component's declaration element. Then,if anotherapp creates an intent with the ACTION_SEND actionandpass it to startActivity(),the system maystart your activity so the user can draft and send an email. Formore about creating intent filters, see the Intents and Intent Filters document. There are avariety of devices powered by Android and not all of them provide the samefeatures and capabilities. In order to prevent your app from being installed ondevices that lack features needed by your app, it's important that you clearlydefine a profile for the types of devices your app supports by declaring deviceand software requirements in your manifest file. Most of thesedeclarations are informational only and the system does not read them, but externalservices such as Google Play do read them in order to provide filtering forusers when they search for apps from their device. Now, devicesthat do not have a camera and have an Android version lower than2.1 cannot install your app from Google Play. However, you canalso declare that your app uses the camera, but does not require it.In that case, your app must set the required attribute to "false" and check atruntime whether the device has a camera and disable any camera features asappropriate. More informationabout how you can manage your app's compatibility with different devices isprovided in theDevice Compatibility document. An Android appis composed of more than just code—it requires resources that are separate fromthe source code, such as images, audio files, and anything relating to thevisual presentation of the app. For example, you should define animations,menus, styles, colors, and the layout of activity user interfaces with XMLfiles. Using app resources makes it easy to update various characteristics ofyour app without modifying code and—by providing sets of alternativeresources—enables you to optimize your app for a variety of deviceconfigurations (such as different languages and screen sizes). For every resourcethat you include in your Android project, the SDK build tools define a uniqueinteger ID, which you can use to reference the resource from yourapp code or from other resources defined in XML. For example, if your appcontains an image file named logo.png (saved in the res/drawable/ directory),the SDK tools generate a resource ID named R.drawable.logo, which you canuse to reference the image and insert it in your user interface. One of the mostimportant aspects of providing resources separate from your source code is the ability for youto provide alternative resources for different device configurations. For example,by defining UI strings in XML, you can translate the strings into otherlanguages and save those strings in separate files. Then, based on a language qualifier thatyou append to the resource directory's name (such as res/values-fr/ for Frenchstring values) and the user's language setting, the Android system applies theappropriate language strings to your UI. Android supportsmany different qualifiers for your alternative resources. Thequalifier is a short string that you include in the name of your resourcedirectories in order to define the device configuration for which thoseresources should be used. As another example, you should often create differentlayouts for your activities, depending on the device's screen orientation and size.For example, when the device screen is in portrait orientation (tall), youmight want a layout with buttons to be vertical, but when the screen is inlandscape orientation (wide), the buttons should be aligned horizontally. Tochange the layout depending on the orientation, you can define two differentlayouts and apply the appropriate qualifier to each layout's directory name.Then, the system automatically applies the appropriate layout depending on thecurrent device orientation. For more aboutthe different kinds of resources you can include in your application and how tocreate alternative resources for different device configurations, read Providing Resources.